Love my New Pair of Havianas! Just got back from doing an interview with a few Republic Polytechnic students to help them with their FYP about unconventional youths. Very interesting project n a very sweet bunch of girls! 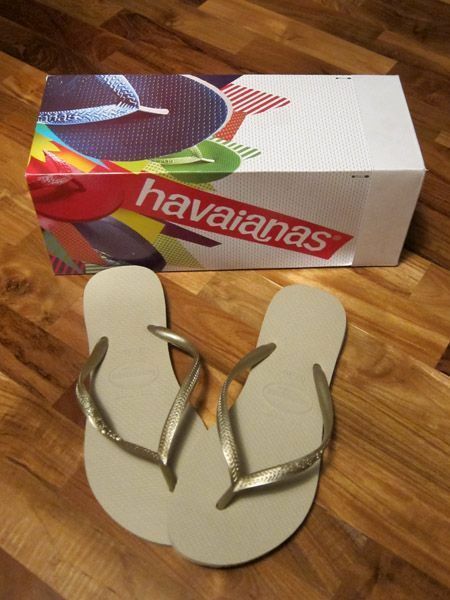 I’m so happy with my new pair of gold Havianas slippers! Can u believe that this is my very first pair? I can’t believe it myself! I’m just that sort to wear my stuff for so long till it spoils then I will go looking for new ones! I still have n using slippers/shoes/clothes from my university days… I guess I find it a pity to throw away things that r still usable! The good thing is that i can share shoes n clothes with my mum! U can buy them from Havaianas from ION Orchard. There’s a flagship store there and I think they’re having a sale now!